Rueby Wood in the title role as Charlie Bucket. It's Thursday, and that means theater critic J. Wynn Rousuck joins us with another of her weekly reviews of the region's thespian fare. Today, she tells us about the traveling production of the new hit musical, Charlie and the Chocolate Factory, now enjoying a 5-day run at Baltimore's Hippodrome Theatre. Based on the popular 1964 children's novel of the same name by Roald Dahl, the new musical also features songs from the 1971 film adaptation, Willy Wonka and the Chocolate Factory. That film starred Gene Wilder as the mercurial candy maker, Willy Wonka, who offers a tour of his secretive factory complex to the lucky children who find one of the golden tickets tucked inside just five of his company's countless candy bars. The movie's Oscar-winning score by Leslie Bricusse and Anthony Newly included hits like “Pure Imagination,” “The Candy Man” and “I’ve Got a Golden Ticket.” The touring musical, starring Noah Weisberg as Willy Wonka, also breaks new ground with a book by David Grieg, and a bevy of original songs by composer Marc Shaiman and lyricist Scott Wittman, the team that gave us Hairspray. The production is directed at the Hippodrome by Jack O'Brien. 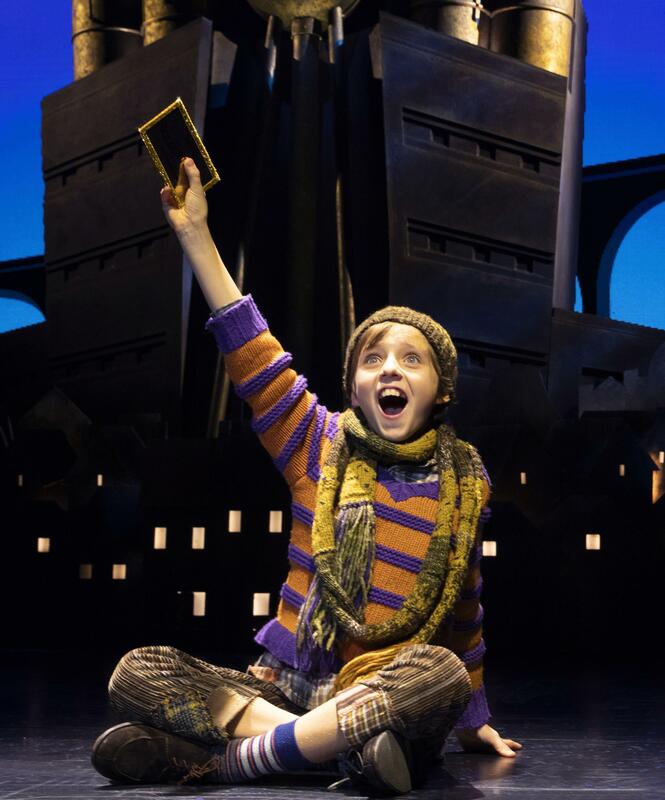 Charlie and the Chocolate Factory continues at the Hippodrome through Sunday, January 27th.